North Springs United Methodist Church / About Us / First Time? 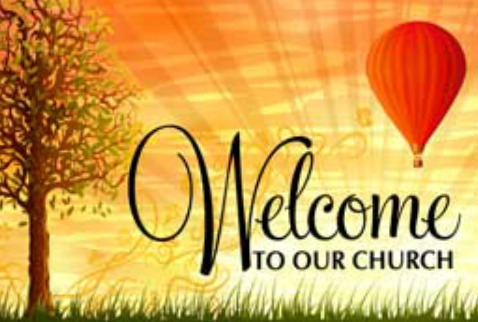 At North Springs, you are welcomed by the God who welcomes us all. Lots of different kinds of people fill our pews on Sunday mornings, so it is a little hard to say what the church is like, exactly. We're a Galatians 3:28 group. We don't presume people come already knowing scripture, so we spell out its meaning like the passage "There is no longer Jew or Greek, there is no longer slave or free, there is no longer male and female; for all of you are one in Christ Jesus". On any given Sunday, we worship with native Atlantans, transplants from all over the U.S.A., people from India, Nigeria, Mexico, Germany, Ghana, Jamaica, Ethiopia and more. It's a good thing we are fully accessible because we have walkers as well as wheelchair users. There are current and retired teachers, engineers and craft people, nurses and spiritual healers and other skills. We range in age from babies to 94, attenders of preschool through Senior learning participants, folks with lots of degrees, folks with none. Some are dyed-in-the-wool Methodists, several are Roman Catholic, and a whole range of other Protestants, even non-Christians who hang with us. About 100 people make their way each week, and dress in whatever suits them - sandals and T-shirts to suits and ties. We don't judge your tattoos or hairstyles. We sing songs with a band, hymns with an organ. Scripture is always read, and on a good day we hear a pretty fine sermon. Children are welcome in the service, but there is a Kingdom Kids (children's church) program they can attend as well. Every first Sunday of the month we share in Holy Communion, and sometimes more often. For some, the worship is innovative, for others traditional, but we always shoot for our gathered time to be life-giving through the love of Christ. You'll have to come see for yourself, but be prepared: you will be welcomed warmly and are likely to feel at home here. If the worship connects, we leave ready to shift our fear to hope, move our loneliness into community and put our beliefs into action. Want to not just GO to church, but BE the church? Check us out.